If you and your children are familiar with VTech products, you’ll recognize Learning Lodge® app with loads of available learning apps for download (for an additional cost). KidiBuzz™ is pre-loaded with more than 40 apps including Magic Beanstalk, KidiConnect, a Clock, a Calculator, a (parent-filtered) Web Browser and more. My son’s favorite things to do with his KidiBuzz™ is to watch kid-friendly videos like Descendants 2 music videos, slime DIY/hacks, and even TV shows like Dragons: Race to the Edge. Note that I added these myself, they don’t come pre-loaded on the device. But it’s really easy to download videos from YouTube for your kid! 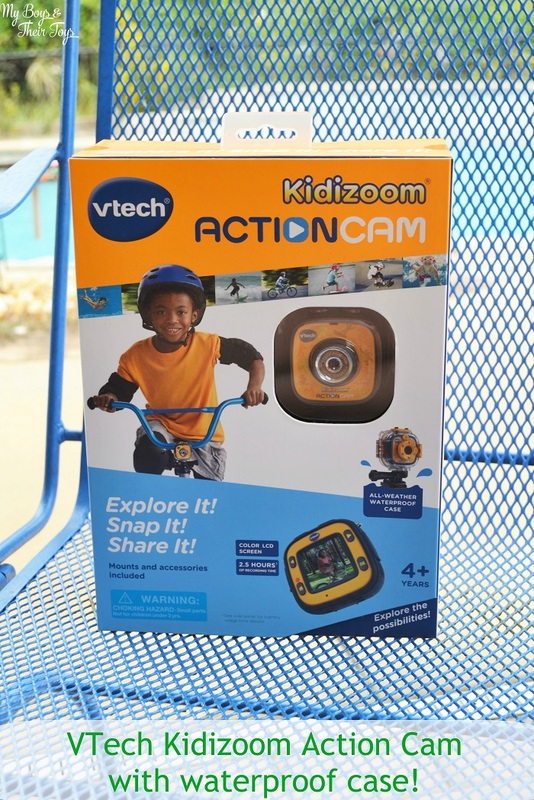 He also loves capturing memories with the rotating camera on the KidiBuzz™. He’s able to explore his creativity with the pre-supplied stickers, backgrounds, and other features he can apply to his photos and videos. He started a YouTube channel over the summer, and this portable device is ideal for him to record his videos. 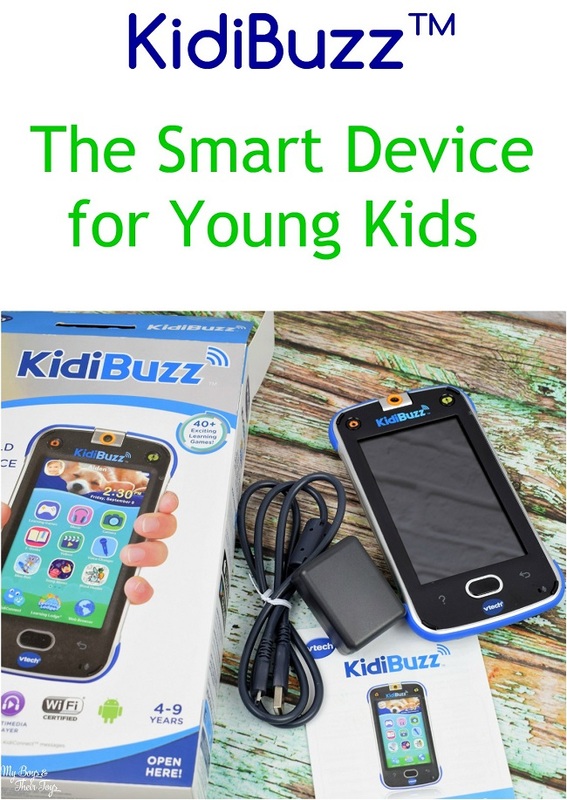 KidiBuzz™ is the perfect smart device for kids ages 4-9 who are just beginning to explore technology. Parents can feel confident that this device is safe and fun for kids. 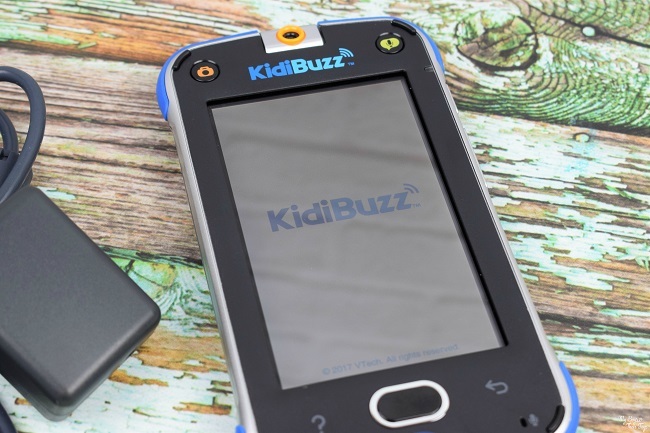 I really appreciate the portability of the KidiBuzz™. It’s just the right size for little hands. The tough exterior can give parents peace of mind because it will protect the device from drops or other mishaps too. 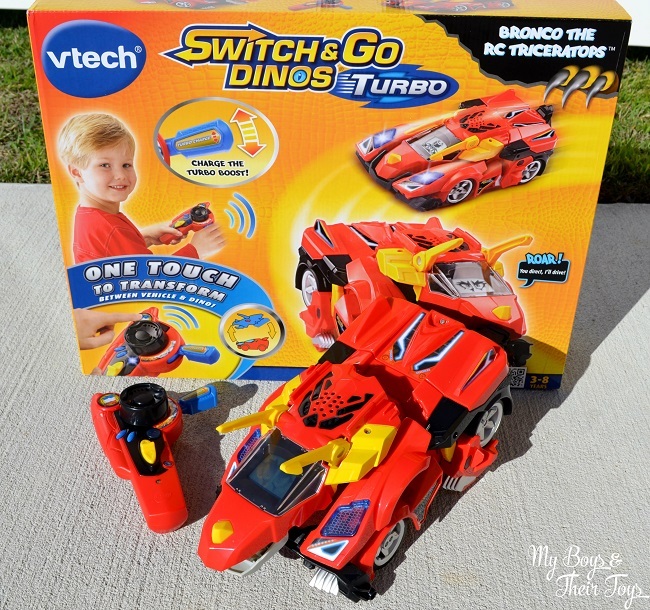 Enter below for your chance to win your own VTech KidiBuzz ™! I like that it is not so bulky it can fit in my purse for my kids. I like that you can do creative things and play games on it. Love that this has a parent filtered web browser! Not all the kid devices do and it Gives me some peace of mind knowing that it has this feature! I like the 44 games feature and that you can transport it easily in your purse or pocket. Thanks for the chance to win. The camera, my kids love to take pictures and then look at the ones they took. I like the 44 Games. I like that it has so many games on it!! Would be perfect for my daughter!! I like the apps already downloaded and the Web Browser feature. I think the 44 games will keep my grandsons occupied and happy! Favorite feature is it is kid proof! 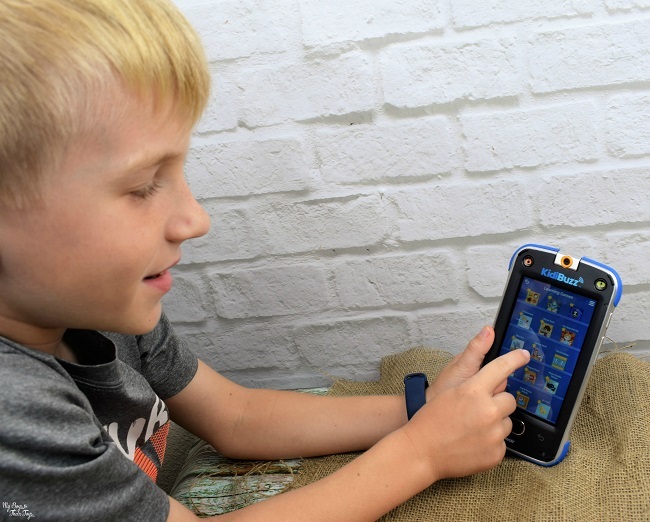 The camera will be great for the grandkids to learn patience and the ability to learn to focus; the games are already downloaded and will hopefully find lots of educational opportunity along with them being happily entertained. This is a great product. Thanks for this chance to win! I like that it has the 180 degree camera, that is a cool feature. I like the camera. My cousin’s 5 year old is always using her camera for taking pictures. This would be perfect for him. The rotating camera will be a big hit! I also love that it has learning apps! My daughter would love this. 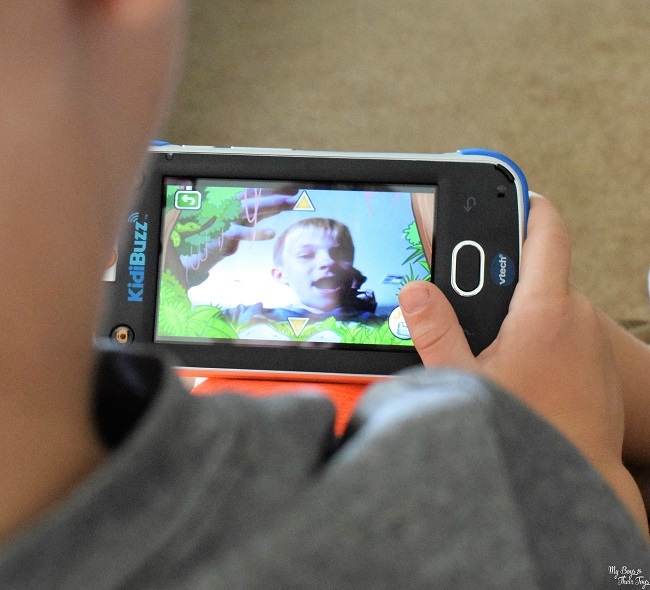 180 Degree Rotating Camera sounds amazing to use love to have one for my kids to use. I like that its pre loaded with 44 games. I like the calculator! My daughter can use it to do her homeschool work. I like that my daughter will like the size almost like a phone easier to carry than a tablet. She will also like taking pictures/videos. I love the rotating camera and touch screen. My son would love to have his “own” device. I love all the pre-loaded apps!!!!! I love that they can record their own videos! That’s my sons favorite thing to do on my phone! I like that you can apply photos to videos. Wow!! How cool is 44 games! My favorite feature is the photo taking ability! I love that it has a rotating camera amd a bunch of games my kid will mever get bored because so many choices. I am impressed that it has 40+ apps pre-installed. That is a lot of cool stuff to do! I love all the apps that its preloaded with. I like that it’s really easy to download videos from YouTube for your kid! I love the rotating camera and 44 games. My favorite feature is the 44 games. I like that this is pre-loaded with games – that makes my job a lot easier! My favorite feature is the rotating camera! My kids enjoy capturing moments. The best thing is how it seems just like mom’s phone. She’ll love the games and the camera. I like it comes preloaded with at least 40 apps! That’s awesome! I like how it’s fun, but also safe for kids. I love that my child can text me or vice versa! I like the amount of games it holds and its size. I love that it is pre-loaded with more than 40 apps! Texting approved family and friends that are parent approved. My favorite feature is the camera. Great for little ones to take pictures like the adults do. I like that it comes with so many preloaded apps that are child based. I like that so many apps are included- and that it safe, and easy for parents to over see. I like the cool camera!! my favorite feature is the 180 degree rotating camera. I love that you can watch kid friendly videos on it!! I love the parental control features! I love the kidiconnect messaging, so we can stay in contact! My kids would like the camera feature. I like that it has 44 games. I love all the built in games! I like the rotating camera feature! I love that it comes preloaded with 44 games! This would be the perfect gift for my youngest daughter who is starting to get jealous of her older siblings tablets. I like that you can add a lot of aps to it! I’d like to win this for the Autistic young man I home teach. Thanks and God Bless! All the games are fun. my favorite feature is the 180 degree camera. it is really cool. I like that it has a rotating camera! I think it’s a good size for the kids. I love that it has a camera. My niece and nephew love taking photos! I like that it comes with 44 games. I like that it is made to be more durable for kids. I like that my child can watch videos that are for children only. I like the size and portability most. My favorite feature is that the kids can watch videos on it. I like that the child can watch kid friendly videos that you can add. Love the camera. My son loves to use mine! My nephew would love the variety of games offered and would take this on his road trips. the games are my favorite feature I’ll finally have my phone back! The 180 camera sound like an awesome feature! I like the games. The main thing I like about this is that it is a great way for kids to safely learn to use tech—that is crucial to navigating the world these days. I like all the games and apps that come with it. I love that it has a shatter safe screen. The pre loaded games and the fact the it can take the roughness a child can dish out. The games. Always the games. I love the Learning Lodge! 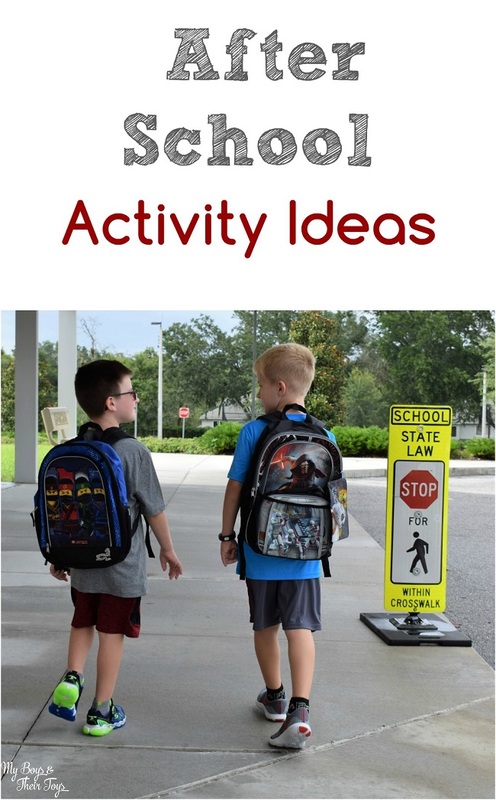 This would be a great tool for my child! I love the 180 Degree Rotating Camera!!! 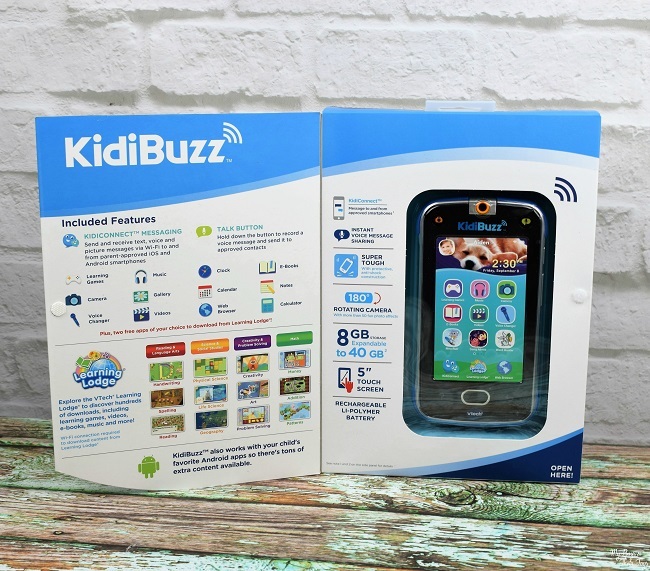 I really like the that the KidiBuzz™ is pre-loaded with more than 40 apps. I lobe the photo camera that talks. I think it’s great it has a parent filtered web browser. Thanks for the chance to win. I like the messaging feature. My mother likes to send text messages to my phone for the kids- with this device, she can message them directly. I like any learning device and adding what I want to it makes it nice too. Plus its just right for those little hands and off the cellphones they do not need. My favorite deature is the learning apps. I also loves that this looks like a phone to catch the attention of younger kids. I like the microSD Card Slot feature. My favorite thing about the KidiBuzz is that it is so safe and a lot of fun in the car. I love the camera feature! My son loves taking pictures. Love the parent filtered web browser and games! My son Logan is almost 11 and wanting his 1st phone. I think something like this would be a great start! I like that it has 44 games! My favorite feature is the rotating camera.